Nagore Aranburu is the wife of Bayern Monaco and Spain Xabi Alonso. She has been defined as The perfect lady by the Anglo-Saxon blogs on the WAGs. 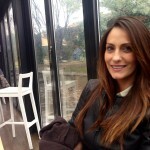 That is how far Nagore arrived: Sara Carbonero, Shakira or Irina Shayk are certainly more famous than her, but they don’t have as much charm, grace and mysterious beauty. Nagore on Instagram. 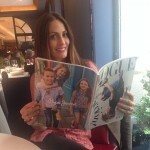 Nagore Aramburu nei blog anglo-sassoni dedicati alle WAGs è definita The perfect lady. Dove arriva la fascinosa moglie del centrocampista del Bayern Monaco Xabi Alonso e della Spagna, che si tolgano le varie Sara Carbonero, Shakira o Irina Shayk, tutte molto più famose e mediatiche di lei, ma senza il suo charme, la sua eleganza e la sua bellezza misteriosa. Nagore su Instagram.